The ongoing success of our Dave’s House programs is driven by our incredible Board of Directors, who volunteer their time and expertise to help individuals in Central Florida overcome the challenges of both homelessness and serious mental illness. Her career in the multi-family housing industry introduced her to the positive impacts stable and affordable housing has on the lives of people. She manages transitions and acquisitions for Pinnacle, one of the largest management companies in the United States. Previously, she worked for one of the largest affordable housing developers in the U.S., responsible for new construction lease ups. She also served as vice president of public relations and managed the company’s nonprofit division. There, Trainer worked to house over 500 homeless individuals and families who were looking to start their lives over again. 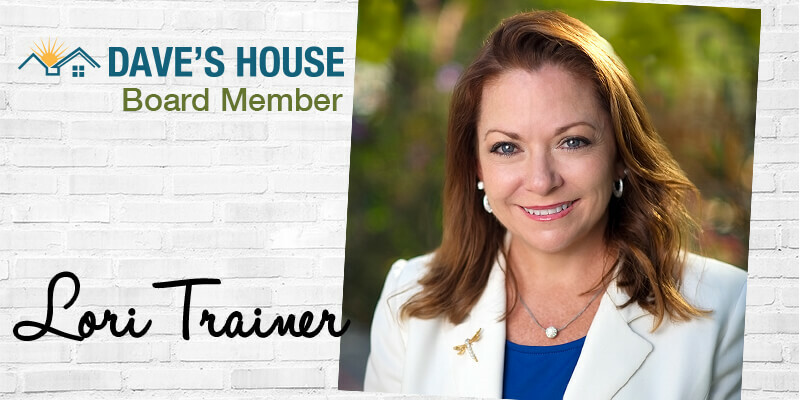 She is president of the Florida Apartment Association, past president of the Apartment Association of Greater Orlando and past president of the AAGO Foundation. She is a delegate to the National Apartment Association as well as the vice chair of their Corporate Social Responsibility Committee; formerly she was regional vice president for the group. She received the International Property Management Representative of the Year award twice for her work on the International Crime Free Program; she was instrumental in bringing this program to Central Florida law enforcement agencies.